The “Orchid State of India” or the “Paradise of the Botanists”, Arunachal Pradesh sits landlocked by the states of Assam and Nagaland in the south, the countries of Bhutan and Myanmar to the east and west respectively, and China to the north. Rich in culture and diverse traditions, the name Arunachal Pradesh translates to the “land of the dawn lit mountains” and is also known for having the highest number of regional languages in the country. Most of the state’s topography is covered by the Himalayas. Some of the highest peaks of the Himalayas lie in this region like, Kangto, Nyegi Kangsang, the main Gorichen peak, the Eastern Gorichen peak etc. This mountainous terrain divides the state into five river valleys namely, the Subansiri, the Tirap, the Kameng, the Lohit and the Siang. Alive with a wide variety of exotic flora and fauna, Arunachal Pradesh is also classified as a biodiversity hotspot. Great for vacations, the state offers several adventure opportunities. 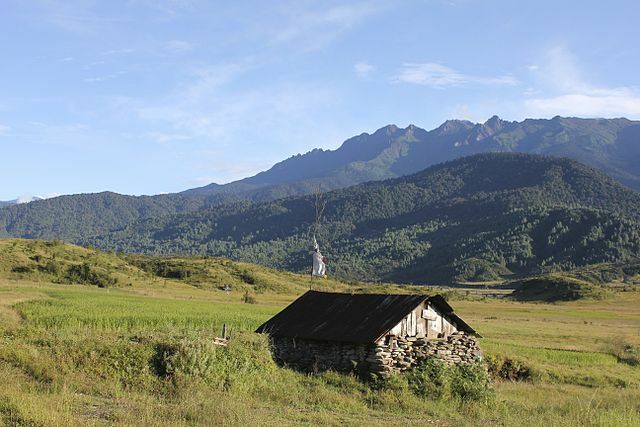 The 5 treks listed here provide a refreshing and thrilling experience of Arunachal Pradesh. With dazzling meadows, stark white glaciers, dense vegetation, Talley Valley is one of the most gorgeous places in Arunachal Pradesh. With exotic wildlife and a wide array of plants and trees in this sub-tropical rainforest, Talley Valley Trek offers one of the best trekking experiences at an altitude of 2400 meters. Giving sweeping views of the encircling mountain ranges, valleys and paddy fields, this is one of the most famous treks in the state. A 9-day trek starting from Guwahati and traversing through Tezpur, Ziro and Pange, the trail ends at Talley Valley, which is a wildlife sanctuary and a bio-diversity hotspot. This enchanting and rare trail is best undertaken during the months of May – June. Tracing the historic route traversed by the British officers, Captain H. T. Morshed and Lt. Col. F. M. Bailey, who were commissioned to survey the land lying between the state of Arunachal Pradesh and Tibet during 1911-12, Bailey trail is also traces an old trade route that connected India, Burma and Tibet. Passing through some remote dense forest cover in the Eastern Himalayas, the trail offers exquisite and breathtaking views of the surrounding landscapes and a chance to witness two of northeastern India’s highest peaks, Gorichen and Kangto. Coursing through pristine lakes, Monpa Tribe villages, glacial rivers, the trail passes through the regions of Sela Pass, a heavenly site which is the highest point in this trek at an altitude of 4550 meters, Dirang River Valley at Chander, which stands at an elevation of 2530 metres, Tse la Pass and Tawang, which is a paradise for nature lovers. This wonderful journey will have you contemplating the culture and heritage of the remote villages of Arunachal Pradesh. This picture-perfect region forms one of the most wondrous hill stations of the state and is ideal for trekking and other adventure activities. The vast dark green forest areas with undulating terrains add to the mystical beauty of this region. Just 32 kilometres from Talley valley, Ziro trek can offer some brilliant attractions like the magnificent Kardo Hills, a sweeping view of the breathtaking Ziro Valley, and the inevitable sight of the 25 ft. high and 22 ft. wide Shiva Lingam on the Kardo Hills. 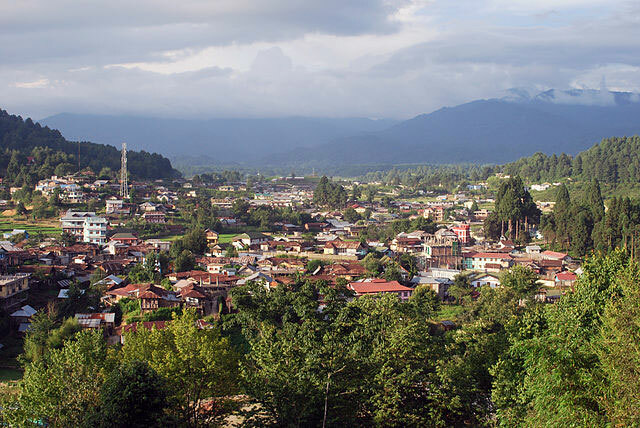 The abode of the infamous and endangered snow leopard, Ziro is also home to innumerable exotic and rare species of plants and animals; many of which are endemic. If you have some time on your hands to experience the thrill that this wonderful state has to offer, then challenge yourself to the Mechuka trek. Taking 15 – 20 days to traverse, this trail starts from Ziro and is not for the faint-hearted. Still largely unexplored, the region of Mechuka is threaded by beautiful hillocks with meandering streams, grazing horses and cows and a bird’s eye-view of some scattered villages. Its name translates to “the land of medicinal water” and attesting to this is the Yargyap Chu river that flows through the Mechuka forest, the sight of which is pleasant and somehow meditatively reassuring. This trek also takes you on an up, close and personal encounter with China, lying mere 27 kilometres from here, the road to which is very close to the trail. The trail takes you through some lovely villages giving a chance to mingle with the local community and also provides an encounter with the 400-year old Samten-Yongcha monastery. With paradisiacal scenes and a rejuvenating journey, this trek is a must for all the adventurers. Running for 15 – 20 days, this expedition covers the high and the low regions of Arunachal Pradesh. One of the most arduous treks of this state, Gorichen base camp trek starts from Jang and concludes at Tawang with a visit to the second largest monastery in Asia. With an opportunity to witness the majestic mountain ranges with views of the unblemished lakes, forest covers and vast green fields, this trek also teases the daring trekkers with the rewards of some unclaimed peaks. The tranquil state of lush greenery and an ascetic life, Arunachal Pradesh is one of the most beautiful states of India. With the Himalayan mountains conquering these lands, the state offers excellent trekking trails. The above 5 treks are the best trails in the state. I am planning to visit Arunachal pradesh in January. I would like to know the itinerary and cost of Mechuka trek and Gorichen Base camp trek so that I can plan accordingly. I am looking for a trek during Christmas break . Please send me the details.